Fillers are materials made from naturally occurring substances in the human body and are used to fill in the lines and wrinkles of the face, neck, chest, and hands. 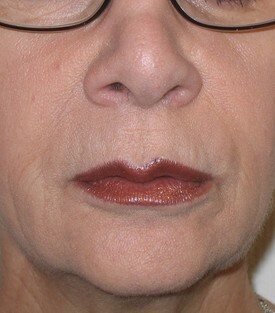 Restylane can also be used to increase the definition and volume of the lips. Board certified plastic surgeon, Dr. Jeffrey Schreiber, currently used the following fillers: Restylane, Radiesse, Juvederm, Juvederm Ultra, Juvederm Ultra Plus, and Perlane. Fillers are easily injected right in the office with minimal downtime and discomfort. Furthermore, Dr. Schreiber does his own filler treatment, not a nurse or physicians’ assistant. Fillers treatments are performed right in the office with very minimal downtime. In fact, many patients go right back to work the same day. Topical numbing cream is placed over the areas that you would like treated and occasionally Dr. Schreiber will recommend a dental block for complete numbness. 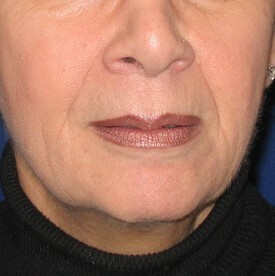 The fillers are then injected and the entire procedure takes about 30 minutes. Dr. Schreiber can also inject fillers with other cosmetic surgery procedures at Northwest Hospital in Randallstown, Maryland and at the SurgiCenter of Baltimore in Owings Mills, Maryland. Both of these facilities are easily accessible from Towson, Baltimore City, Baltimore County, Pikesville, Ruxton, Lutherville, Howard County, Annapolis, and Washington D.C.
New! View a 3-D animation of a filler treatment. Recovery takes about 1-2 hours and may involve minimal redness and slight bruising. Any discomfort is treated with Tylenol or ibuprofen. Ice is helpful to prevent any bruising and to assist with discomfort. You may exercise the same day and go back to work immediately.